Earlier this year we wrote about $1 Million World’s Most Expensive Vacuum Cleaner – GoVacuum’s 24K Gold-plated. Its competitor has arrived in the form of the Swarovski Crystal encrusted HYLA GST Vacuum Cleaner. Also proclaimed as world’s most expensive by its manufacturer, HYLA U.S. Gassmann, Inc., this luxury product is nevertheless more affordable with the price of $21,900! Hand – encrusted with 32,000 genuine Swarovski Elements, this stunning vacuum cleaner has a shiny black exterior that includes stylish carbon and chrome accents. It took the Designer over 100 hours to embellish it with this worldwide popular crystals. 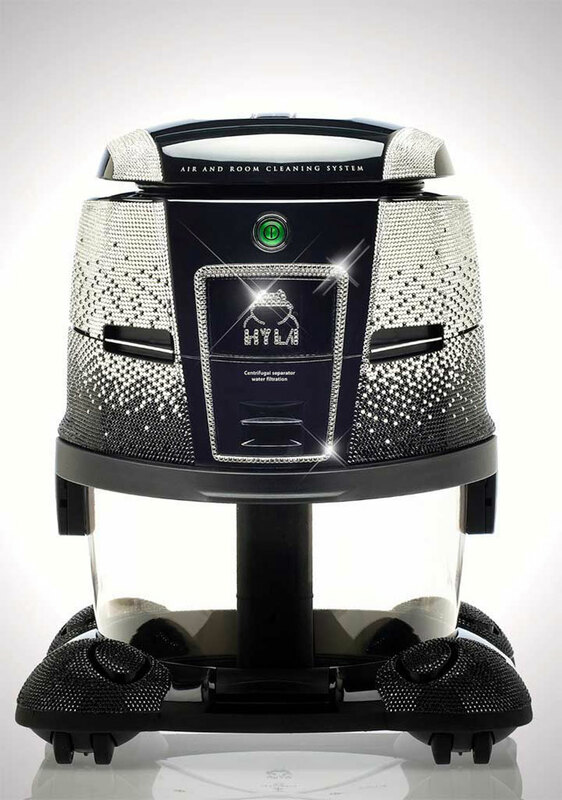 Nothing less important, this precious Swarovski-encrusted HYLA GST vacuum cleaner is also technologically advanced. It is based on GST or Geyser Separator Technology, an allegedly revolutionary system that uses only water as a filter. Its concept is its method of trapping dirt, dust, and allergens in the water. The system forces the air through a water-bath. A specially designed separator separates the air from water so only clean, fresh, water-washed air is returned. So, the result is a green, allergy-friendly product. 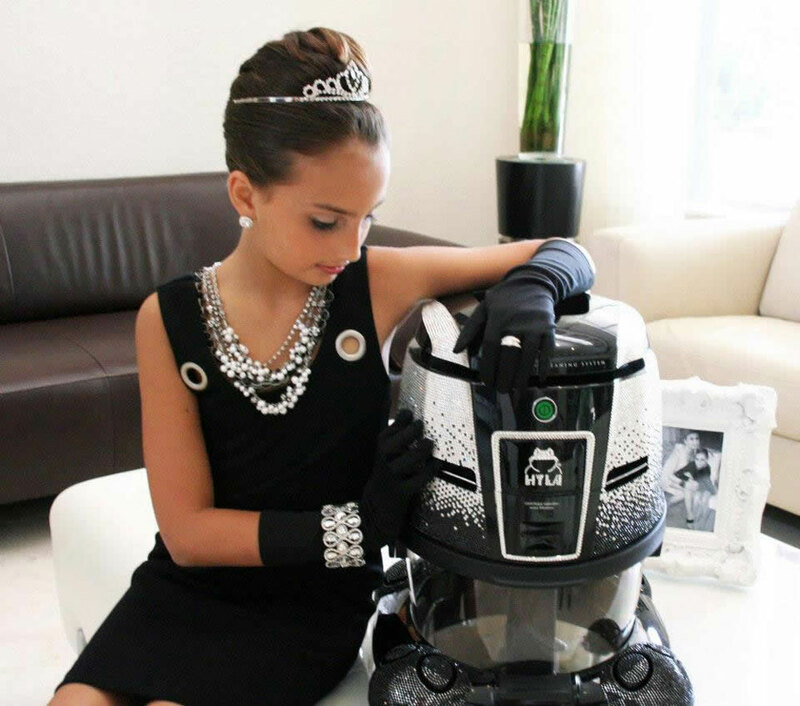 It is interesting to look ad where HYLA Girl – Yasmine Gassmann, the 10-year old daughter of the HYLA U.S. Importers Hartmut and Filiz Gassmann, dressed as the glamorous and iconic Audrey Hepburn from Breakfast at Tiffany’s, playfully demonstrates the uses of the vacuum.